Kristen is heavily involved in the local community. She works with Big Brothers Big Sisters of Inland Empire, and is an active member of The Barristers Club of Riverside, The Corona Chamber of Commerce, The Orange County Bar Association, and The Riverside County Bar Association. 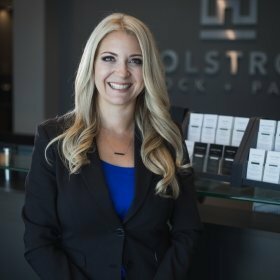 Kristen also sits on the board of directors for the Corona Chamber of Commerce as well as the Board of the Governors for Corona Regional Medical Center, and she is Co-Chair of the Riverside Family Law Bar Section. One of her many accomplishments includes being recognized by The Corona Chamber of Commerce as one of the 40 Under 40-Best & Brightest in 2016 for her talent and management skills as a young advocate. 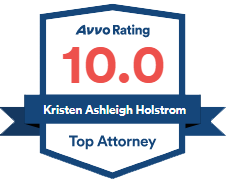 She has also been recognized as a Super Lawyers Rising Star for 2017, 2018 & 2019. The annual Rising Stars list is compiled based on peer reviews, statewide surveys, and independent research. 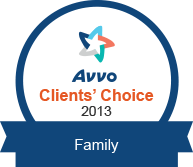 Kristen was one of no more than 2.5 percent of lawyers statewide to be recognized with this award. In her spare time, Kristen enjoys spending time with her family and friends, traveling, reading, watching football and the outdoors. Never to shy away from visiting new places for weekend getaways, Kristen and her husband religiously ensure they are able to catch all of the Green Bay Packer NFL games, wherever they are.